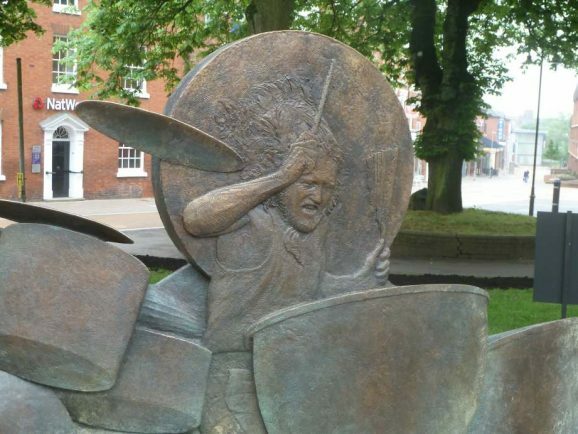 TOP acts, including the Steve Gibbons Band and Vincent Flatts plus special guests will be performing at the John Bonham a Celebration concert next Saturday, September 22. To be held in a giant festival marquee, 12 acts will be performing from 1pm to 11pm: Ritchie Dave Porter, You Dirty Blue, Lenny James & The Gator Squad, Arcadia Roots, Steve Gibbons Band, Vincent Flatts, Easily Led, Led Hendrix, Big Wolf Band, Rebecca Downes, Quartz, Deborah Bonham & Friends and Letz Zep. Organised by John Bonham Memorial Friends in partnership with Heart of Worcestershire College, in aid of Teenage Cancer Trust, tickets £25 available online (plus £1.30 booking fee) via www.JohnBonhamAC.com or from Vintage Trax Records, Headless Cross, and the Customer Services desk in Kingfisher Shopping Centre (by Nationwide Building Society). Tickets will also be on sale at the Bandstand event this Saturday, September 15. Tickets may be purchased on the day, subject to availability. 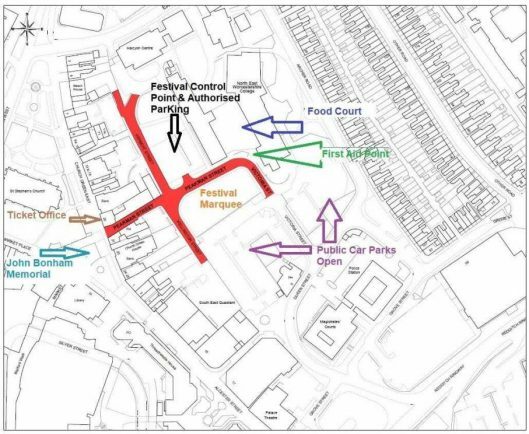 On arrival, festival goers should head to the Festival Ticket Office (Redditch Standard offices) on corner of Peakman Street and Church Green East and exchange their tickets for a wristband to be able to gain admission to the Festival Marquee. * Marquee doors open 12 noon. 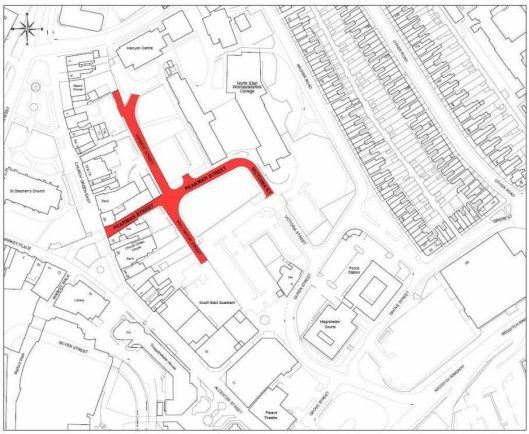 Herbert Street Closed in both directions in a northerly direction, from its junction with Peakman Street, to its full length. Bullivant Media, Crest Marquees, Wavelength Stage Co, Shaws Loos, Severn Valley Medical, Cava Security, Bugalicious PR, ZeePop Music, Festival Broadcasting, The Black Tap, Vintage Trax, Damson Creative, Philip Hardman Photography. McDonalds, Faraday Business Centre, Redditch Town Centre Partnership, Lexon, Ridgeway Academy, SPE, Thomas Brothers, John Truslove, Joe Joe Jims, Kingfisher Shopping Centre, Seven Stars.